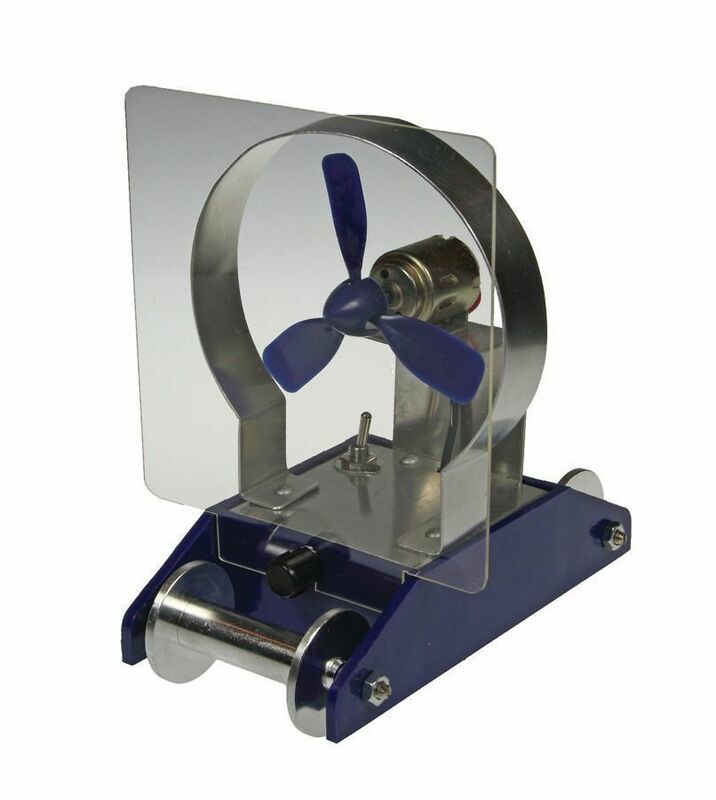 This Fan Cart demonstrates Newton’s principle of action and reaction. The inexpensive Fan Cart is powered by two AA batteries, not included. The removable power unit contains the batteries, and the fan is controlled by a switch. The propeller delivers a thrust of about 88 mN, accelerating the cart at 0.4 m/s². A transparent plate can be attached to show the effect of reversing the airflow. The Fan Cart includes an activity guide.